Last weekend I went with my Swedish club, LASK, to Gothenburg in order to play two matches in the Swedish Leauge, Elitserien. Basically there is two teams that can win the leauge every year - LASK and Team Viking from Stockholm. Last year we managed to win the leauge despite losing to Viking in the last round. This year, however, they have won all their matches convincingly so far, while we managed to lose the last match, the derby against Limhamn, with 5-3. During that match I was in Germany, but from what I heard afterwards it was a pretty straightforward loss for us. With one match already lost the goal during last weekend was not only to win the matches, but to win them big. If we in the end wins against Viking, individual points will be counted. Therefore it's important not only to win against the weak teams, but to score as many individual points as possible. 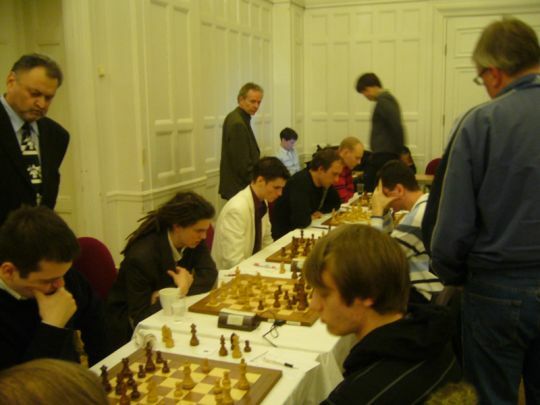 In the first match against Kamraterna I got black against IM Bengt Svensson. A bit funny, as it was the 3rd year in a row that this happened. And just like the last year, I got a slightly superior position as black but managed to misplay it and end up clearly worse. That time I saved myself with a draw offer, this time it was a repetition. The difference was that this time I already got out of the worst trouble when we agreed a draw, while last year I was still clearly worse. Not a game to be proud of, but at least the team won 6-2. Here I'm clearly better, mainly because black completely lacks counterplay. I realized this, and had thought about it for quite some time, but in the end I decided that this was the moment for concrete action. 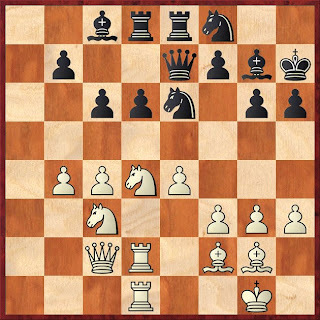 So, I played 23.Nf5, which is just horrible. After 23-gxf5 24.exf5 Kh8 25.fxe6 Bxe6 I'm only having a very slight advantage, if even that. Futhermore after 26.Bb6? he could just have sacrificed the exchange with 26-Bxc4! completely taking over the initiative. After the worse 26-Rd7?! I managed to pull myself together and won the game by fairly decent play. LASK has always been a club that attracts the students, as Lunds University is one of the biggest in the country. Therefore our team consists almost exclusively by people from my age up till 30. There has always been exceptions, lately by Tiger Hillarp and Jesper Hall, but the main part of the team are pretty young. I started playing in LASK in the 2008/2009 season, a year in which we finished 2nd. With lots of good results every year and being close many times, it was a great relief when we in our last season finally managed to win the leauge!